One reason why so many businesses fail to reach their true potential is because they struggle to grasp the concept of a “brand”. So let’s ditch the text books and explain things in a simple way. Until we’re warmed up, it’s easier to say what a brand is not. Take a leap of faith a stay with me here. It is not a logo. Definitely not the signage on your vehicles or building. Certainly not your corporate identity manual. These are all but elements of your brand – your flag which identifies you. A brand is an emotional state, that intangible space which represents how the market (and your customers) see and experience you. When enough people feel the same way and say similar things about you, you can say that you’re starting to develop a brand. It is not so much what you say about yourself but more what they say about you that is important. In discovering what it is that connects people to you, you’ll need to move beyond the obvious product or services offered. And definitely stretch further than the predictable words such as such as “service, integrity, quality” etc which ALL companies spout, even Bell Pottinger! You’ll need to differentiate yourself from others in ways that certain sectors of the market can associate with. We say certain sectors because you cannot be all things to all people. Woolworths don’t try to be like Checkers. Volvo doesn’t try to emulate BMW. They all stand for something. What do you stand for? What makes people come to you? What is the common feeling when they come to you? What do they say!? 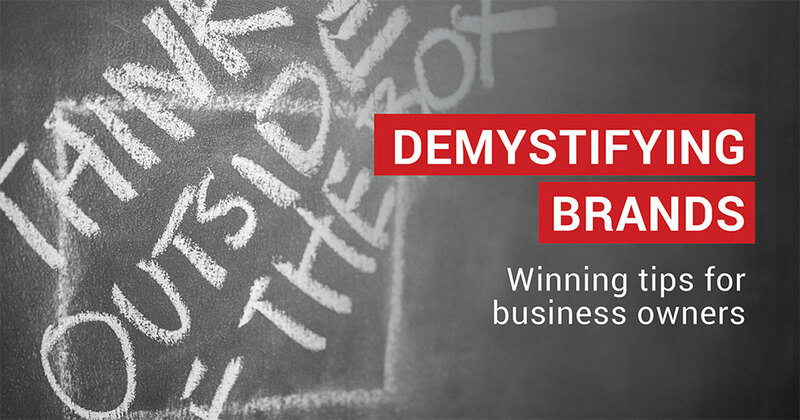 If your Agency has that rarest of skills – building brands – ask them to help you uncover a brand strategy. Find your points of difference. If there is nothing, create a difference. It’s not always about the actual product. Think about what the experience that you promise. Do your clients only stand in a queue for a couple of minutes for their hamburgers? Does it always taste the same? You probably don’t sell hamburgers but you know what I mean. Once you’ve discovered what it is that differentiates you, make it happen. Go throughout your business and make sure that everybody understands what your brand is about so that the hamburger always tastes the same and pops out within a few minutes. Align your people and processes to what your brand promises. And then develop a consistent experience which people talk about, all saying similar things about you. Making sense? What role can your Agency play? You don’t want to go to all this trouble of differentiating and then leave it to chance. Your Agency must articulate what your brand is about. But don’t fall into the trap of saying “our burgers are cheaper” or “our burgers always taste the same”. No, people will figure that out for themselves if it is consistently experienced. Your Agency will use design, copywriting and content marketing etc. to suggest or support the “feeling” that you want your brand to convey. Sherpa’s CEO and Brand Strategist Gary Hendrickse believes that every company deserves a shot at the brand title.